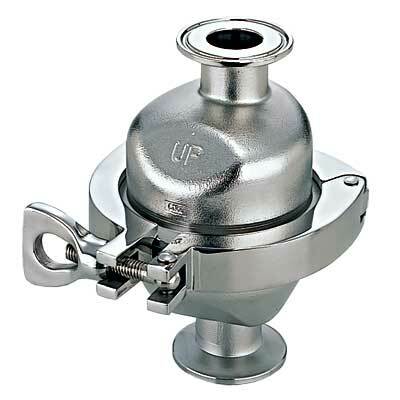 • Free Float® type clean steam trap. Interior and exterior surfaces of the steam trap as well as the Free Float® itself are highly polished to produce smooth surfaces for improved resistance to bacterial growth. The clamp connection at the joint allows for easy disassembly and cleaning. A small built-in drain hole ensures complete condensate drainage to prevent the pooling of fluid. 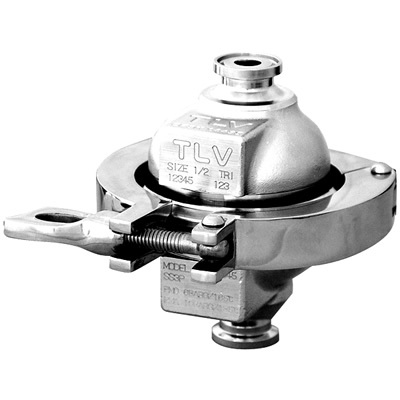 The float rises and sinks as the flow of condensate fluctuates, opening the valve to discharge condensate and closing off the valve when steam enters. Free Float® design provides reliable operation.